I was in Ghana when Ebony died on that fateful Thursday, February 8th. The day before, I was at Lynx Entertainment where I met with some of the executives. Though I went there for other business reasons, we ended up talking about how the young generation in the music industry were making waves in the music world, some of whom were Ebony Reigns, Mz Vee, KiDi, Kwame Eugene, etc. Sad to lose Ebony the next day, one of the finest amongst the lot. Social media is awash with the question: Who killed Ebony? Some say it was destiny; God ordained her death, the Pastor who predicted her death, witches from her family and village, her time was up and when your time is up, your time is up. Yet some say, her peers in the music industry killed her. Others say her death was just an unfortunate car accident. What is certain is that, what is done cannot be undone. Ebony is dead. But could her death have been prevented? Of course, yes! Ghanaians cannot throw their hands in the air and say, it was God’s plan and no one takes responsibility. Imagine the number of gas explosions we have had in Ghana, killing hundreds of people, including my cousin, Maame Akosua Kyerematen-Darko, (Bridget); All God’s plan? For the root cause of accidents, accidents are reconstructed, investigative pieces are put together and carefully analyzed to understand what went wrong, what was amiss and how it can be corrected. Most accidents occur due to human error. Ebony died under Nana Addo Akuffo-addo’s watch due in part to negligence of his administration and he is ultimately responsible. 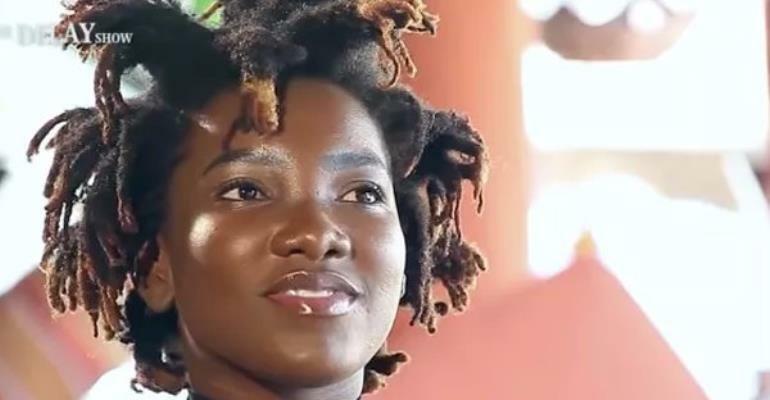 Ebony reportedly died in a vehicle accident in Sunyani along a road under construction with a heap of sand in one lane virtually turning the road meant for dual traffic into a single lane. The diverted single lane unfortunately had huge pot holes. Ebony’s driver trying to avoid the heap of sand hit the pot holes in the diverted lane which turned that car into a ditch, killing three of the four people on board. The codes for road construction require that advance warning is given to motorists for lane constriction at least about 300ft ahead with restricted speed limit signs. The construction site should be well illuminated at night with highway reflective construction lights erected to alert motorists. Nana Addo Akuffo-addo’s government did not make sure these safety measures were in place to warn motorists. All over the country people die needlessly because of negligence, lack of supervision, accountability and responsibility. Under Nana Addo Akuffo-addo’s watch we are dying. What is the responsibility of Ghana Highway Authority? The current administration has one hundred and ten ministers, (110), yet the primary objective of the government, which is to secure the SAFETY and SECURITY of her People evades us. We are dying in the hospitals, we are dying to armed robbers and we are dying on our roads. I travelled from Accra to Tamale, Bolgatanga, Paga and to Burkina Faso. A common site on Ghana roads are mommy Lorries (large trucks) dangerously over loaded with goods to the point of tipping over. Yet, the trucks pass through a number of police check points on their way. Broken down Lorries dangerous left on the side of the roads obscuring incoming traffic. Ghana has so many layers of appointed heads yet nothing gets done. There are the local Chiefs, the Assemblymen, the District heads, the Regional Minister, the City Mayors, the Governors, down to directors and managers. None of these positions act in the interest of the citizens of Ghana except to play party politics. What is Nana Ado Akuffo-addo and his administration doing about it? This government will never be successful if it cannot hold people accountable. “The fish rots from the head” as it is told. Ebony should be the last person to die this way! Ghanaians are sitting ducks. It is time to wake up and demand better services from the people voted into power and into various offices to serve. They enrich their pockets and create traps for us to die. Traffic is a mess in Accra. From East Legon to Accra Central I never saw a single traffic light that worked continuously for two days. They were all broken down by the hour. Only in Ghana would you find the warning for speed ramp right at the speed ramp. What are the metrics for excellence? The narrow tunnel connecting East Legon to Spintex road and the bypass being constructed is one sore sight. Because the old tunnel is narrow and allows only one lane traffic, traffic can be backed up for miles on each direction. What does it take for Ghana Highway Authority to erect a temporary battery powered traffic light to regulate the flow of traffic through the tunnel; one at either end of the tunnel, whilst the bypass is under construction? You often find young men, local volunteers who stand in front of the tunnel to direct traffic, an accident waiting to happen. Are we surprised when others call us names? Nana Addo Akuffo-addo should focus inward and tackle the little foxes spoiling the wine. Strong IGP and police force for law and order, strong judiciary and the legal system, accountability from both private and government agencies. Please Mr. President, it doesn’t take the big things to settle the country. Put the enablers in place for the grass root average Ghanaian to feel secured and we will create jobs and be successful. Focus on safety and security, infrastructure and law and order and your administration will do well. Finally, I encourage Ebony’s family to sue the Government for negligence and wrongful death of their daughter. Nana Addo Akuffo addo’s government is responsible!